Think of Liverpool in the mid-eighties, and the chances are your mind will conjure up images such as Souness lifting the European Cup, King Kenny creating yet another goal for Ian Rush, or Alan Hansen majestically striding through the middle on one of his legendary attacking forays. 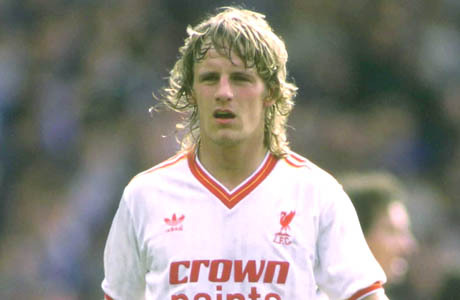 For me though, the most enduring memory of Liverpool in the eighties was of a tousle-haired, lavishly gifted young striker skipping across the Anfield turf, combining impish skill and balance with electric pace as he twisted and turned his way past opposing defenders. Growing up in the eighties, Paul Walsh was the player kids like me used to imitate on the school playground, so it was with some trepidation that I travelled to Southampton to interview my boyhood idol. It seemed strange that fifteen years ago, I was running around the playground in a Liverpool shirt complete with number seven, not to mention the imitation 'mullet' hairstyle, and now here I was chatting to the man himself in his local pub. Any nerves I may have felt soon disappeared though, as the down to earth Walsh began regaling me with tales about his time at Anfield. There's not a hint of ego about the man, and it's clear he still has a lot of affection for the Reds. Yet Paul Walsh's Anfield career is best described as a tale of what might have been. He arrived at Anfield in the summer of 1984 as the newly crowned PFA young player of the year, and the prospect of him linking up with Dalglish and Rush had rival defences quaking in their boots and Liverpool fans drooling with anticipation. 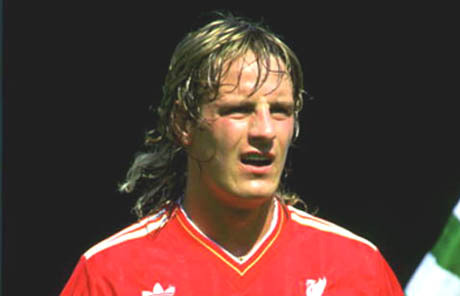 Viewed as the natural successor to Dalglish, Walsh was the most sought after striker in the country. Sadly, a cruel succession of serious injuries prevented the popular Londoner from ever fulfilling his enormous potential, but he remains one of the most popular - not to mention gifted - players to have ever donned the famous red shirt. So how did he first hear of Liverpool's interest in him? "Well I was at Luton, and after my first season there, I think Liverpool started making enquiries about wanting to do a deal, and about six months before I actually went to Liverpool the deal was done - I didn't know that at the time, I found out later - and when the end of that season came, David Pleat pulled me to one side after the last game, and told me that I was going up to Anfield. The only decision I had to make was that there was an Italian side called Como, who'd just been promoted from Serie B, who also wanted me. It wasn't really a tough decision though, because I wanted to go to Liverpool, so I went up on the train and met with the chairman John Smith and Joe Fagan and completed the deal. It was pretty straightforward really, it wasn't a hard decision in any way and I was delighted. It was fantastic, the first thing I had to do was to go to the European Cup Final in Rome! I'd just left Luton, and it was a case of "get your gear together, you're coming to Rome!" "So I went up to Melwood and met all the players for the first time, trained with them, and then we flew out to Rome. Obviously everyone knows what happened there, and then we came back and I went to Swaziland on an end of season tour which was a good chance to get to know everyone better. The only negative thing was that when it came out that I was going to Liverpool people started throwing this Kenny Dalglish thing at me. You know, will you be trying to take Kenny's shirt and things like that. Kenny was always my favourite player and the one I most looked up to. I went to Anfield knowing that Dalglish and 'Rushy' were the top men, and that didn't bother me, I was just glad to be there." Walsh joined a team in transition. Souness was about to leave for Sampdoria, and Joe Fagan brought in three midfield players to fill the massive void left by the Scot's departure - John Wark, Jan Molby and Kevin McDonald. As Walsh explains though, none of these were a direct replacement for Souness. "Warky just passed it easy and got in the box, whereas Souness ran the game. Kevin Mac wasn't in the same class as Souness, but he was a lot better than people gave him credit for. He looked a bit ungainly though, which was probably why he never got the credit he deserved, but he was a good player. Jan was just Jan, but he'd have been better off if the bigger kits were in. The fashion needed to change a bit quicker so he didn't look so big, because in those tight, silly little shorts we used to have to wear he looked like he was bursting at the seams! He could never keep his weight down but as far as skill, vision and passing were concerned he was top man." He may have been expecting to have to bide his time and wait for an opportunity, but a cartilage injury to Ian Rush in pre-season meant that Walsh was thrown in at the deep end alongside his boyhood hero Dalglish. He made an instant impression with his new fans, scoring just 14 seconds into his home debut against West Ham. He explains "That was great, because my dad was a West Ham season ticket holder and he'd travelled up to see the game. We didn't even have kick off, but the ball broke through the middle and Ronnie Whelan has played me in and I've took a touch and put it away. That's one of my greatest memories." "I scored first with a header, and then there was the volley. I wasn't supposed to be on penalties, but we were two up and cruising a bit, so the lads said to me "go on then, you have it", but I've made a mess of it and Joe Fagan's gone mad in the dressing room. He didn't blame me, he reckoned I shouldn't have been put in that position. He just said "We've got a penalty taker, and I don't care what the score is, he takes the penalties". All in all, Walsh managed to score a respectable 35 goals from 85 starts for the reds, but does he have a favourite? "Well it's different goals for different reasons I suppose. One of the most spectacular ones I scored was the volley against Vienna, because it was a difficult thing to do and it was in the European Cup, but the best goal I scored was when I came on as a sub against York and we were winning about 5-0. The ball got pinged to me about 20 yards out from a corner and I hit it on the volley and it went right in the top corner. It was an unbelievable goal, but because it was only against York in the early rounds of the cup it's got no real significance, but it was a great goal. Then there was the one that I just knocked over the line with my stomach against Man United in the semi final at Goodison. It was in injury time, there was a big ball from Kenny to the back post, Rushy's got up brilliantly and nutted it, Gary Bailey could only take the pace off it with his fingers and I've run it over the line. Even though it was a 'two-bob' goal the way it went in, I suppose I've got to say that one because it was so important." 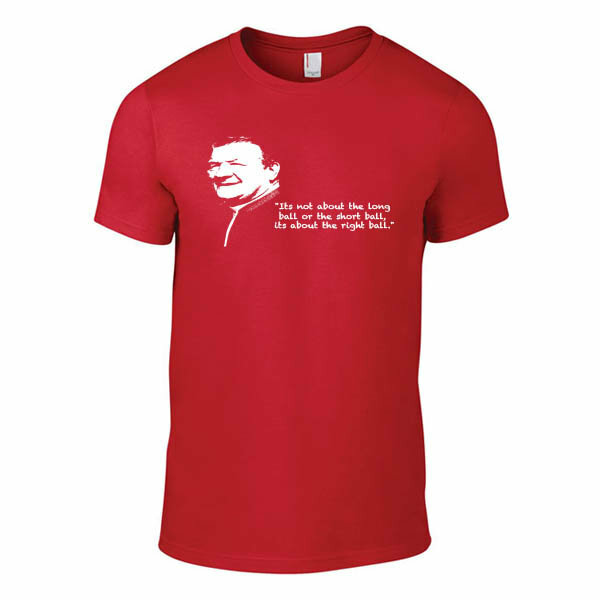 Sadly though, Walsh's last gasp heroics were all in vane, as Liverpool lost the replay. "Losing that game was probably my biggest disappointment. We were one up and 'Nico' had a great chance to make it 2-0, but we lost 2-1." So was that semi-final at Goodison his most memorable match then? "Well any important game that you've done well in is memorable, but what is most disappointing looking back on things is that Heysel should have been the most memorable game. When you look at the European Cup Final now, it's always played in a top stadium like the Nou Camp or the Stade de France, yet we were playing in that dump. What winds me up is that everyone else had to take the blame, yet UEFA had chosen to stage the game in a stadium that wasn't fit for a European Cup Final and never took any flak for it. Even winning the championship wasn't that memorable for me because I missed the run in through injury. The best part that you work all year for is the run in, and I missed it and also the cup final. Even when I won the cup with Spurs I was only a substitute so it means nothing. We even lost the League Cup final to Arsenal so I haven't got any great memories of a cup final. I've got the medals but I haven't got great memories of how they've came about and that's disappointing. I don't want to sound all doom and gloom, because Liverpool is still my favourite club, but things could have been different under slightly different circumstances." By circumstances, Walsh is surely referring to the horrendous catalogue of injuries that ravaged what should have been a glittering career. Often players will use injuries as an excuse for under-achievement, but in Walsh's case it is undoubtedly true. Not once in his Liverpool career was he able to string together more than a dozen consecutive appearances. Serious injuries to his ankle, knee, stomach and wrist marred his time with the reds, and undoubtedly prevented him from becoming one of the club's greatest ever players. 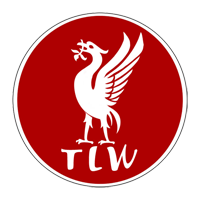 There are few players to have ever graced Anfield that could match Walsh in terms of skill and natural ability, but injuries meant that Liverpool fans were deprived of seeing those talents except in fleeting glimpses. He was 25 when he left Liverpool in 1988, and his best days should have still been in front of him, but the change of scenery did not bring better luck and eventually a cruciate knee ligament injury forced his retirement from the game at the age of 33. He ended his career at Portsmouth, and has now settled on the South coast with his wife and two young sons. As well as doing some TV work, Walsh is also involved in the building trade and, for the time being at least, acts as an agent, although it is not something he enjoys and he won't be doing it for much longer. But what of all those injuries, what does he remember about it all? So I've limped off and I'm hobbling around for months. The funny thing is though, eventually this fella comes around to test the ultra sound, and it turns out it's not even working. I'd been religiously having the ultra sound on my ankle three times a day for three months and it turns out it's not even working! Looking back at it now, it was a real joke, but at the time that's just how things were." Walsh returned briefly later that season, but his ankle hadn't healed fully and he broke down again, missing the title run-in as well as the FA Cup Final against Everton. All in all, that ankle injury cost Walsh seven months of his career, but no sooner had he returned to the side when his injury curse struck again. He recalls, "It was the Screensport super cup final, and I wasn't even supposed to play. It was against Everton at Goodison, and I'd only gone to watch, but someone had a bad stomach so Kenny asked me if I wanted to be on the bench. Well I was just coming back to fitness so I couldn't wait to get back playing again. Anyway, we're three nil up and with ten minutes to go Kenny sends me on. I remember jumping for a header and coming down heavily on my arm." "I couldn't believe it, I'd been out for seven months and then I come back and break my wrist! The thing was though, Kenny needed a rest so I played with this big cast on my arm. I remember we lost on the plastic at Luton, and then I scored a hat-trick against Norwich at home. I'd had no pre-season and wasn't fit, but for the first few games back I was playing on adrenaline and enthusiasm, not fitness. It caught up with me after that though, and I lost my sharpness because I was tired. I've seen the same thing with Michael Owen. Even in the start of the game with Southampton recently, he looked sluggish and didn't look fit, or sharp, but obviously the goals have then given him a massive lift and he's gone on from there. I could see what he was going through because I've been through it myself." As we were on the subject of games at the Dell, I couldn't let the moment pass without taking the opportunity to ask him about that infamous incident with former Southampton defender Kevin Bond, when the pint-sized Liverpool striker floored the giant centre back with a devastating right hook. So what was all that about? "What happened there was I got the ball from a throw in and he stuck his studs right down my back, so I was fuming to be honest, and we were having a bit of a grapple, and as I've turned he's spat right in my face. Well I've checked to see that the ref wasn't looking and then I've turned around and clumped him as hard as I could, but the linesman was stood about five yards away and saw the whole thing. So I was sent off and I was fearing the worst when I had to go and face Kenny in the dressing room, but he just said to me "You know you're wrong don't you? But if there's one person I don't mind you slapping it's him!" and that was the last I heard of it, I wasn't fined or anything." Three days later the reds faced Southampton in the league, and Bond was on the receiving end again, when an angry fan charged across the pitch at full time and also planted one on the big defender. It's unclear whether or not Merseyside Police took the same lenient approach as Dalglish though! Despite all the injury setbacks, Walsh was always a hugely popular figure with the supporters, and even now he is always received fondly when he returns to Anfield. It's clear from chatting with him, that he regards the relationship he had with the Liverpool supporters as something special. "I was living in the Holiday Inn, so I spent a lot of time walking around the town, and it was great. People coming up to me in the street saying "Well done" and patting me on the back and stuff. I absolutely loved it, the best part about doing well in football is seeing people react to what's going on, and I always had a great relationship with the Liverpool fans." Even though he was often nowhere near fully fit, Walsh continued to play and he freely admits his form suffered as a result. Liverpool were short of striking options at the time. Dalglish only had himself, Rush and Walsh to choose from, until he brought in John Aldridge midway through the 1986-87 season. 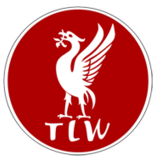 The arrivals of Peter Beardsley and John Barnes the following summer pushed Walsh further down the pecking order at Anfield, and eventually he left for Tottenham for half a million pounds. Looking back, Walsh regrets leaving the reds for White Hart Lane, and if he could do it all over, he reveals that he would have stayed at Anfield. "Even after they signed all the other strikers, Roy (Evans) told me they wanted me to play right side midfield, but I said "No way I'm a striker" but I wish I'd done it now. I could have played that position quite well I think, but at the time I was loathe to start playing a different position, but looking back I really wish I'd have done it because I could have stayed at Liverpool for a few more years." It's often said that leaving Liverpool is a step down, so how does he compare life at Anfield compared with the other clubs he played for, say Luton and Tottenham for instance? "Luton was a great little club with a lovely atmosphere and I had a great two years there, but you're always looking to get to the next stage and by going to Liverpool it was everything I'd wanted, a massive club, success and fantastic support. Then you look at the players you'll be playing with and you see that it's the type of club everyone wants to be involved with, and I think that was something that Luton could never have. When you're a young lad trying to reach the top of your profession that's the type of thing you look at." And Spurs? "Tottenham could have been a great club but what gets in the way there is all this London glamour rubbish that goes with it. That's a big draw back for Tottenham and London clubs in general. I remember going to Bradford in the FA Cup and losing 1-0, this was when Bradford were in the second or third division. We got on the coach after, and we used to have salmon and prawn starter, bottles of chablis on the table, steak or something else, it was like a five star hotel on wheels. It was embarrassing, we'd just been beaten by Bradford, we're looking out the window and we can see the disappointed Spurs fans, and here we are all tucking into our smoked salmon. I just thought 'I don't think I should be eating this', it just didn't seem right. I mean at Liverpool, whatever happened it was fish and chips on the coach journey home. We'd all be sitting there with greasy fingers eating our fish and chips, it was just down to earth, more straightforward and seemed to suit our situation, whereas Tottenham was the opposite." Down to earth and straightforward, much like Walsh himself really.